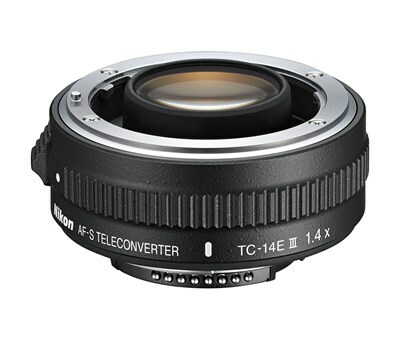 The Nikon TC-14E AF-S Teleconverter III with 1.4x magnification increases the focal length of select Nikon lenses (see further details for lens chart) by 40 percent. Teleconverters are well-suited to use with fast prime and zoom lenses and are ideal for sports, press, and wildlife photographers who want to extend the reach of an existing lens, without spending an absolute fortune. The TC-14E III boasts a smaller build and improved ergonomics, including a redesigned lens barrel and fluorine coating on the front and rear surfaces to offer professional-grade weather resistance and superior optical performance with minimal chromatic aberration. The TC-14E III replaces the current TC-14E II teleconverter.